Boise Guardian | Give Legislators Your Right To Senate Vote? Give Legislators Your Right To Senate Vote? A particulary worrisome bit of news came out of a recent Idaho Tea Party survey of national candidates and an Idaho Public TV interview/debate on IDAHO REPORTS. Republican 1st District Congressional candidates Raul Labrador and Vaughn Ward both support a move to abolish the right of citizens to elect their U.S. Senators through repeal of the 17th amendment. They would rather the state legislature choose the U.S. senators. The amendment was historically the product of unrest among citizens who were unhappy with state politicos appointing their own party hacks instead of allowing the citizens to vote directly for senators. 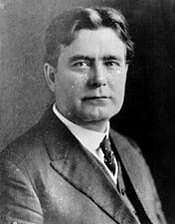 The 17th amendment ultimately passed Congress in 1913 and was introduced in 1911 by Senator Joseph L. Bristow of Kansas and, supported by Senator William Borah of Idaho, himself a product of direct election. Should I give either of them my vote! Why does the Tea Party have a beef with this idea? Most TPTY’s I know think the opposition is irrelevant anyway. Seems perfect for Idaho since very few bother to vote and the opposition are irrelevant, socialists, nazis and live in a ghetto called the North End. Democracy (representation) is only useful if you don’t got it. Rights? What’s that? Just don’t bother me while I’m watching my expanded TV and working two jobs to pay for it. Let them do whatever they want so long as they don’t bother me. Who do I talk to in the government about Oprah going off the air? I myself wonder at times (Why VOTE?) I’m sure Boise voted on allowing the Military to Import 6700 Tons of Sand full of Depleted Uranium and Lead from Camp Doha into your Back Yard? You should have at least had a Vote, Because the Firm that got it then admitted they did not know it was radioactive nor how to even dispose of that type of stuff. It is clear the Kuwait government said to “GET IT OUT OF HERE!” Then comes IRAQ, Over 1 Million Tons of Depleted Uranium there, When that clean-up starts, I hope you have a Vote in where all that Iraqi Sand goes. Because Iraq is going to say the same thing, “GET IT OUT OF HERE.” It’s already in their Water. 150 Babies a day are dying their. Yes, DU as it is called Destroys the “DNA” so if you don’t vote on it, Maybe your MUTATED BABIES can… IF they are Born with Brains, Most are Not. Do some Reading.. Look at what DU does to the Human Genetics. The only WMD found in Iraq was the USA’s Depleted Uranium that has killed so many US Soldiers, Iraqi Soldiers and Iraqi Civilians. You won’t see any CLEAR AND BALANCED Reporting on That!. Idaho can expect about 25-30% of registered voters to turn out for the primary the end of this month. I will be one of those people who take the time to educate myself as best I can and vote. Those who just don’t care stay home and then bellyache when things don’t go the way they thing they should have. This fall the Idaho Legislature will be asking for three constitutional amendments to further restrict you rights to vote on debt. I will be voting against these changes. Citizens have a right to vote up or down debts they are asked to repay. That’s the craziest idea EVER. But then, these two wackos ARE Republicans. These power mad loons will take my right to vote for senators away from me only after…..(well, you get the general idea). I’m with anyone who recognises that Idaho knee-jerk votes Republican, so how does it matter if only 30% vote??? Opposition is not allowed in this state, it is eternally crushed by media and the Leg. It’s so bad that if you just try to get a reader opinion that goes against the Republican line in most of the newspapers in this state, nobody will ever see your views in print. Boise Guardian is one of the decent media, publishing even dopey comments, but it’s open to a mix of views. The Statesman is latitudinarian in lte’s, but not necessarily open about Reader Opinion articles. Of course there’s BW but I suspect only the politically progressive, non-Repub. choir reads it. Its bizarre. Why do they hate democracy? Sys, because democracy giveth and taketh away. Depending on what end you are on you don’t want it if it is working for you. Right now,I guess democracy ain’t working too well for Republicans and they aim to change it. The so called party of freedom knows that freedom isn’t free. If you don’t have freedom, by god you’re going to pay for it with less freedom. I believe all branches of government should be directly accountable to the people via the vote. Once again proving that our beloved State can produce some great minds of the 17th century. I would think that with all of the relevant issues in this election these two characters could address at least a few of them, but, then I’ve always been an optimist. Anyone ask them about or say, immigration reform, finance reform, health care repeal, alternative energy issues, off-shore drilling, sanctions against ‘rogue states’, or other meaningful issues? Oh, wait, that would require some thinking of their part, what ever am I thinking of. Rinos wanting to take a right away from the people. Hmmm, I wonder what right they would want to be taken away from them. Besides it wouldn`t fly in this country. I`m glad they have shown what they really feel about the rights of the voters. Why wouldn’t they continue to consolidate their powers by abolishing the 17th amendment while they can? I still haven’t figured out why the Tea Party peeps are in favor of this though. “Radical Raul” wants to take away our right to vote for US Senator. How in the world can someone propose to eliminate voters right to participate in the process, and still get people to vote for him? I guess the term dumbing down applies here. The scary thing is that if the GOP gets a majority in congress this fall they may just try and do it. Why bother to repeal the 17th? Why not cut out the middle man/woman altogether (voters) and award elections to candidates that write the biggest checks to the states/feds. That would help the economy and eliminate all this Democracy crap. I am, of course, being facetious. Like the R-sponsored closed primary issue now in court, proposed repeal of the 17th is a moronic attempt to disenfranchise voters. Candidates need to remember this country is red, white and blue, not just red and blue! Don’t let anyone ever convince you to waive your right to vote! Why doesn’t the tea party take a look at apportionment? Or rather lack of apportionment. At all levels of government our number of elected officials has remained static while the population has grown tremendously. Our vote, the vote of any individual, has been diluted to a fraction of what it once was. People’s Republic of Idaho, the Repubs have once again come up with a winning slogan. Ward and Labrador are really dangerous to our collective health. I think what “dog” is trying to say is that Republicans refuse to accept that they LOST the last election and are willing to do any crazy thing to get around that fact. Repealing the 17th amendment would return the states to a proper balance AND end the practice of the unfunded mandate, which did not exist before the change. Imagine of a Senator had to think about his state legislature before voting to impose a bill on them from Washington. A lot of bad legislatio would go away. EDITOR NOTE–Jim, gotta disagree on this one. From your perspective, it will make it easier than ever for the Dems to rule—most of the state legislatures are Dem alaready and a good R wouldn’t have a chance. Likewise, we had a history of R in Idaho, but for 24 years Frank Church served with honor as a Dem. In the Senate the states are in balance. Idaho has 2 votes, just like California. Our population, 1.4 million, California 36.9 million. What about PARTICIPATORY democracy do you not understand? Direct elections are best. A bunch of legislators from either party sitting in a back room picking their best pal to go to the senate is wrong no matter how you color it. A lot of brave men and women died so we could have that right, now conservatives come along and want to take it away? NO WAY! Balance is the issue. You can have a red state in the National election but a Democrat Legislature or the opposite. Direct election keeps these rascals at least somewhat accountable to the people every 6th year they come up for reelection. LMAO Jim. And there you have the misguided delusions of a teabagger. “Proper balance” my kiester. This would give corporate interests even more hold than they have now. Marc Johnson examines the history, and the consequences, here. Dave actually that’s not quite right. 27 legislatures are Democrat controlled which would mean that the senate would have 46 Republican senators, which I’m sure is a short sighted motivation for teabaggers like Jim. BUT, the unfunded mandate would go away, the Senate would represent the state and not simply pander to the parties special interest and money sources (remember, they do not need the millions to get elected) and serve at the pleasure of the legislature, as the founders imagined. Today we have federalism with a broken wing as senators pander on a scale that makes even congressmen blush. Jim V you need to go back and do some research on how the 17th came about. States legislatures bogged down in gridlock over who would be their senators. Sometimes the gridlock went on for several years, meanwhile, there was no senate representation for the states. It was an untenable situation and it finally got fixed. I won’t pretend to know what dead men were thinking on this issue any further than the history of how we got the 17th amendment. The fix brought us the unfunded mandate and made the senate unaccountable to the states…it was the single biggest mistake since prohibition. It also made the senate as buyable by special interests across the nation as the house has always been to local interests. All a senator is is a house member with a longer term but even less accountable. If (a huge “IF”) the underlying issue of campaign financing is the driving force behind the move to abolish the 17th Amendment, consider this. Place an upper limit on the dollar amount that can be spent on any one person’s election. Guarantee each candidate a set amount of free air time on radio and TV — the airwaves are the public’s by-the-way, and the issuance of a telecommunications license by the FCC should come with this free-candidate-air-time stipulation. Eliminate Political Action Committees whose sole purpose is to advocate for a particular person or political party. Let each individual run on their own merits, with their own words, in the time alloted. If they get elected and bomb while in office, don’t re-elect them. I totally agree with you. Setting limits is what we all have to do in our daily lives. If we have to do it, then politicians should do it too. Anyone and everyone should be allowed to run for public office; yet only those with big war chests seem to make it into office. On the matter of the 17th amendment, I wish Mr. Labrador would drop it and stick to the economy. Despite recent legacy media headlines, unemployment is still high. I’m tired of half-full headlines when the reality is the economy is half empty with no immediate relief in sight. We’re supposed to learn from our mistakes not repeat them. I’m glad BG followers take the time to parse important issues and learn from each other.